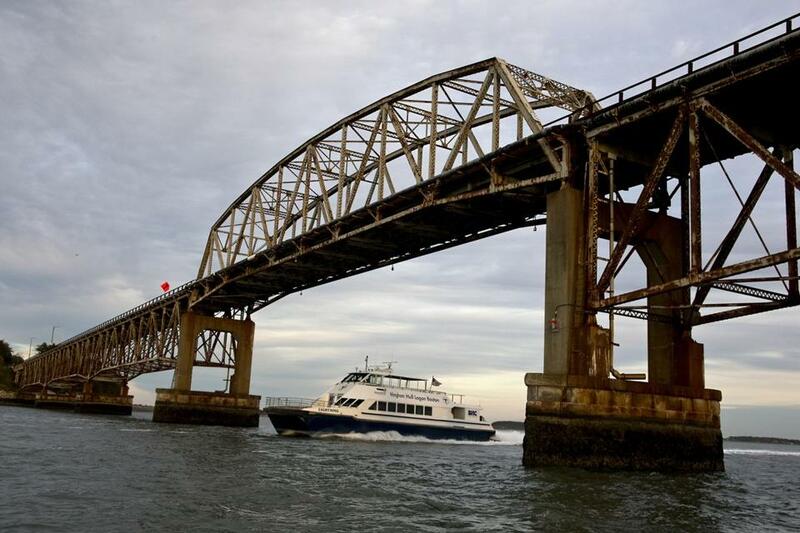 Mayor Martin J. Walsh said Friday that the Long Island Bridge will reopen in about three years, rather than the five years initially estimated. Walsh first announced the change to the timeline for the reconstruction of the closed bridge during an appearance on WGBH-FM, Boston Public Radio, but a spokeswoman later confirmed the new timetable, which includes about one year of planning and two years of construction. “The mayor would like to see the Long Island bridge built as quickly as possible,” said Melina Schuler, a spokeswoman for Walsh. Schuler added that the new timeline is fluid, and could change. The 63-year-old bridge was abruptly closed on Oct. 8, forcing the evacuation of Long Island and the programs housed there, including a homeless shelter and drug rehabilitation programs. Reconstructing the 3,450-foot bridge will cost $80 million, and Schuler acknowledged Friday that it is not known where the money will come from. The city’s capital plan includes $35 million for the bridge. “There are no concrete funding sources identified at this time, but we’ll be looking into federal government grant money and exploring all types of options,” Schuler said. Mike Dennehy, the interim Public Works commissioner, said last month that the administration was planning to replace the bridge before it was closed , had sought bids for designs in July, and that bids had been submitted. Until this month, about 700 homeless people sought shelter and other services on the island everyday. Now the island looks frozen in time. Earlier this month, Walsh said he had no plans to move the social service agencies that were housed on the island, and said he would consider ferry service. News of a quicker reopening for the bridge came as little comfort to those still scrambling to accommodate the programs that were forced off the island. 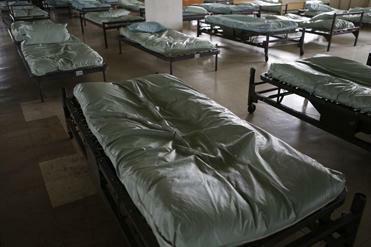 Jonathan Scott, the chief executive and president of Victory Programs, ran a 47-bed treatment facility on Long Island, but had to disband it after the island was evacuated. Scott said his program couldn’t relocate to another space. The women were sent to other programs throughout the state. Scott was skeptical that the bridge could be completed in three years, though he said he would be glad to see it reopened as soon as possible. In an interview earlier this month, city engineer Para Jayasinghe said the bridge was closed because of new regulations handed down to bridge inspectors this year. The bridge’s condition had worsened for years. In 2006, officials began to regulate traffic on the bridge because it was deemed to be unsafe for too many cars to cross at once. Over the past 10 years, about $13 million was spent on bridge repairs, according to Jayasinghe. However, inspections revealed that the bridge needed about $15 million more in repairs over the next few years, he said. On Friday, Walsh acknowledged that much more was needed. “The bridge probably — not probably, absolutely — should have been replaced about 15 years ago,” Walsh said during the radio appearance. Long Island was first purchased by the city of Boston in 1882 and quickly became a haven for some of the city’s neediest. Over the years, the island housed an almshouse, a home for unwed mothers and, most recently, the city’s largest homeless shelter, a number of drug rehabilitation programs, and Camp Harbor View, a summer camp for city children.